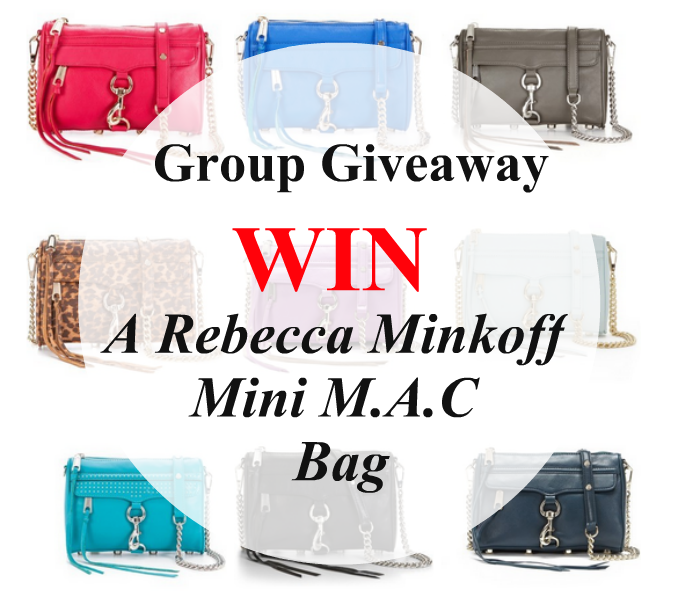 Rebecca Minkoff Mini M.A.C Group Giveaway! I have an exciting post for you all today! I have teamed up with a group of other bloggers to co-host a fantastic give away and the give away is.... The chance to win your very own Rebecca Minkoff Mini M.A.C Bag in the colour of your choice!! The bloggers involved in the give away are Confessions of a Secret Shopper, who is the beautiful brains behind this giveaway, Beauty by Emma, Berice Baby, All About U, Pocockins, Us Two Friends, What Kimmy Tried Next and obviously myself! They are a petite take on the original Rebecca Minkoff M.A.C. (Morning After Clutch), with enough space inside to hold all the essentials such as a mobile phone, purse, keys, lipstick and sunglasses and is perfect for both daytime and evening use! They feature an adjustable chain and studded leather strap which can be singled, doubled or removed for lots of different looks. Part of me wishes I didn't join in with this giveaway, just so that I could enter myself as I want one of these so badly!!! There is a a few rules to entering this giveaway which are all below, so make sure you read them very carefully. This giveaway will run from midnight on Friday 1st August 2014 and will end at 11:59pm on Thursday 31st August 2014. It is open worldwide. You must be 18 or over to take part in this giveaway. You must be following the 8 bloggers who are hosting the giveaway on Twitter. Please see the Rafflecopter Widget below for full details. You can also earn extra entries which are optional. These are also outlined on the Rafflecopter Widget below. If you are our lucky winner, the colour of the bag that you choose must be available on this page. Full T&C's can be found below. Thank you.